Low Cost, High Accuracy, Straight and Curved Rail & Roller Block Systems! 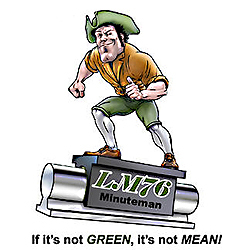 E. Longmeadow, MA –Linear Motion Control – Low cost, SAIBO SB-LGV Straight and Curved Rail & Roller Block Systems are available exclusively from LM76 in three widths, and two styles to meet load requirements up to 7200 N. (1619 lbs). These low profile linear and curved rail systems feature: Low noise, smooth travel, high speed, low weight, high accuracy, sealed radial low friction bearings, low cost, and easy installation into new and existing applications. Long life, SB-LGV Straight and Curved Rail & Roller Block Systems are available in lengths to 2000 mm (79 in.) and curved sections with radiuses from 79.5 mm (3.13 in.) to 516.5 mm (20.3 in.) in 90O, 180O, and 360O sections. 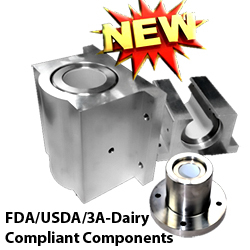 With operating temperatures of -40O to +120O C (-40O to +248O F) they are ideal for use in: Robotics, laser cutting, wafer handling, and other precision applications, as well as assembly, pick-and-place, sorting, manufacturing, sampling, or packaging in refrigerated or high heat areas. SAIBO SB-LGV Roller Blocks have an adjustable preload system to control the required level of precision needed for most applications, additionally Rail & Block Systems be mounted horizontally or vertically. There are 9 sizes of roller blocks for straight rails and 7 sizes for applications incorporating straight and curved rails. Each block has drilled and tapped holes for mounting tooling, cameras, test equipment, etc. The blocks’ rollers are available in harden steel to 60+ RC or in AISI 440 C Stainless. Straight and curved rails are precision ground from high carbon bearing steel hardened to 50 RC, straightness is to ≤ 0.05 mm/1000 mm. 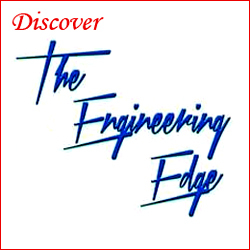 « Linear Motion – Hand Brake for Minute Man Self-Lubricating Bearing Pillow Block Assemblies!